In the development of the optimum solution, the correct selection is of crucial importance. 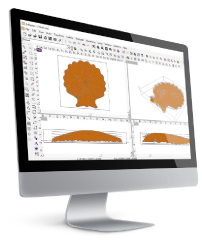 The software assists in milling within the indicated limiting conditions. With a well-considered choice of software you can achieve an optimum result.